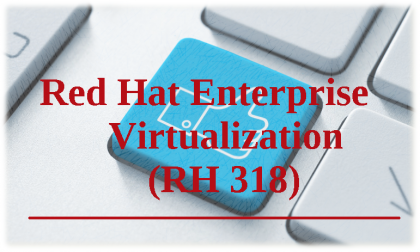 In this course, you will explore the virtualization features of Red Hat Enterprise Linux managed through the Red Hat Enterprise Virtualization suite. You will acquire the skills and knowledge to effectively create, deploy, manage, and migrate Linux and Microsoft Windows virtual machines hosted on either dedicated Red Hat Enterprise Virtualization Hypervisor nodes or Red Hat Enterprise Linux servers using Red Hat Enterprise Virtualization Manager. With hands-on labs, this course is the perfect first step for any enterprise plan or execution of a virtualization deployment strategy.